I met up with the Destrampe family at the Bay City State Park beach area. I love meeting new clients for the first time! It’s like Christmas morning for me! I love to see what they are going to wear…what props they brought, their adorable kids! Well, the Destrampe’s didn’t disappoint! 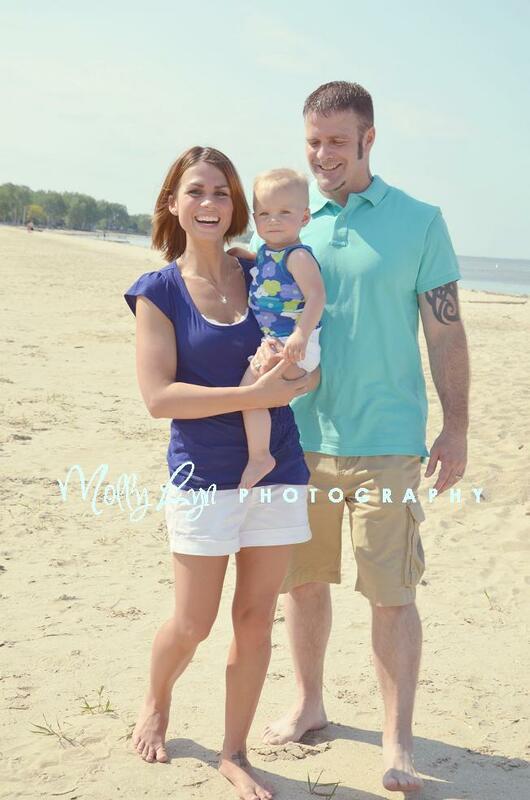 What a GORGEOUS family, and their daughter Charlette! Adorable! Their outfits were perfect too! The beach was hot, hot, HOT! I mean, literally too hot to walk on, so we went out a little ways and cleared some sand for Charlette to sit on. 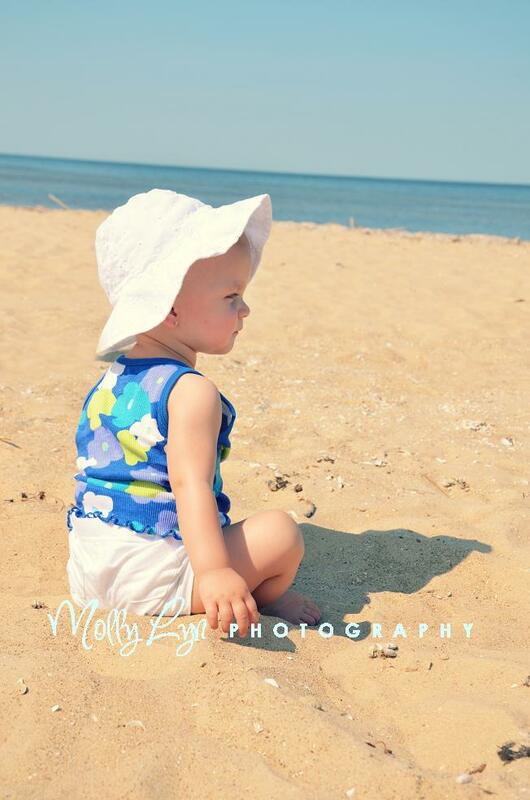 The beach part of our session was quick, because, quite frankly, it was just too hot to even live. LOL…okay, it wasn’t THAT hot, but it was pretty unbearable, especially for the little one! Emily contacted me to set up a family session, and her husband is a cousin of Bobby…yes, that bobby from the cutest winter engagement session I did here . Well, it turns out, that Mallory (yes, that adorable Mallory from the photos) already purchased Emily a gift card good for a family session from me! Emily has already referred me to a Friend of hers! I just LOVE referrals, so THANK YOU EMILY! Also, thanks for braving the heat with me, and I’m so glad to have met your beautiful family! 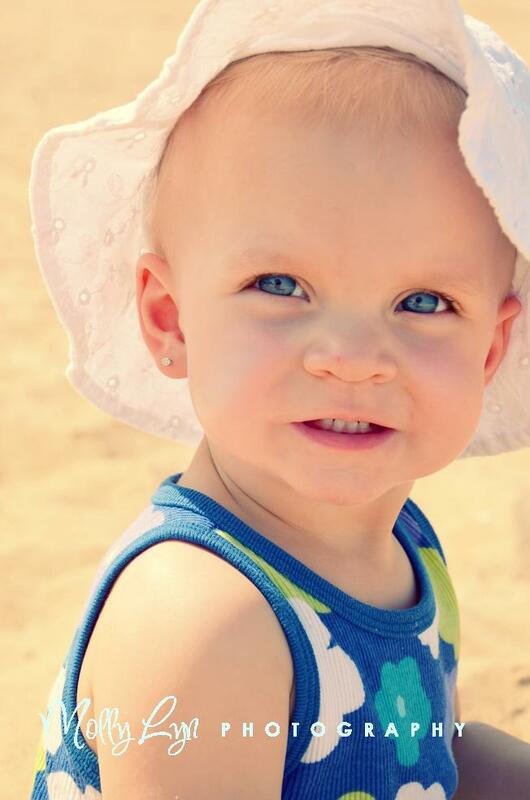 This seriously looks like it should be in a magazine for some baby sunscreen ad 😉 Love! My favorite image…probably ever! Love this! Take a cue from this cute family! Look at Charlette’s shirt, Mom and dad took their colors from her shirt. Perfect way to match without being so matchy-matchy 🙂 LOVE! The little one was getting a little tired of this strange lady having her camera all up in her face, lol…plus is was really hot out, and she was off and running and I couldn’t really catch up with her. So, I had mom and dad walk a little down the boardwalk and then walk toward me while swinging her. Another ‘natural’ shot, and plus the kids usually love this and I can get a great smile! Thanks so much for hanging with me for the day! You guys are so cute! 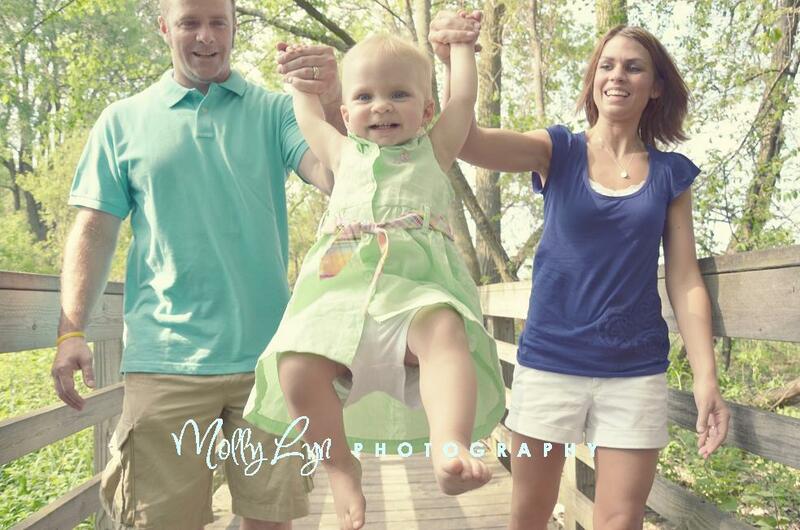 Blog readers, stay tuned for more of this family in Bobby and Mallory’s wedding pics!